Regional trade agreements should not "break" the rules of the World Trade Organization. 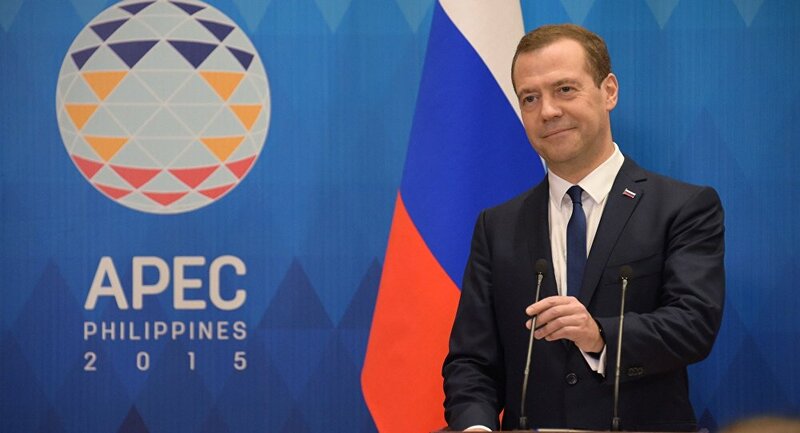 MANILA (Sputnik) — Regional trade agreements like the Trans-Pacific Partnership should not "break" the rules of the World Trade Organization (WTO), Russian Prime Minister Dmitry Medvedev said Thursday. "All of the agreements that are being prepared, discussed, and made should not break common trade rules because all of us are within the World Trade Organization, in this sense, everything discussed should comply with WTO rules," Medvedev said during a press conference after the APEC Summit in Manila. There were hints of inviting Russia and a number of other countries into the Trans-Pacific Partnership trade pact, but Moscow never received any sort of documets on this, Dmitry Medvedev said. Negotiations on the wording and content of the US-led free trade deal that pointedly excludes several economies, including Russia and China, were completed early last month. It has been widely considered that the pact may see new accessions during the APEC Economic Leaders' Week in the Philippine capital of Manila. “There were hints that several countries, including ours, should be seen in this partnership, but, frankly speaking, I haven’t received any sort of documents on this. I haven’t seen any official invitations either,” Medvedev said during a press conference after the APEC Summit in Manila. Medvedev added that Russia had no problems with the creation of the TPP and saw the potential of high-level integrated economies, but there should not be any sort of union that contradicts the rules of the World Trade Organization. The TPP agreement unites 12 countries of the Pacific Rim region, including the United States, Canada, Japan and Australia to deregulate trade among the signatories which together make up 40 percent of the world economy.